Welcome to the Year 10 page. 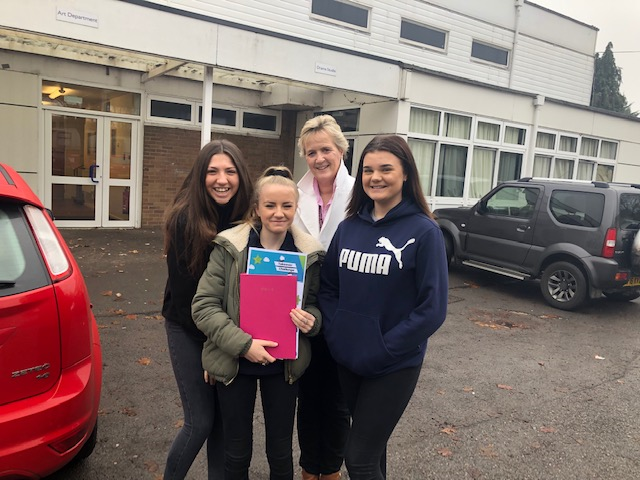 Read our blog below for all the latest Year 10 news. You will find key documents at the bottom of this page. 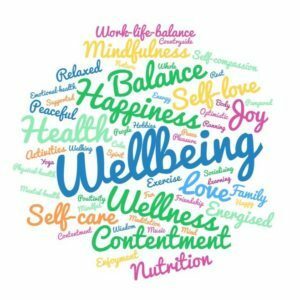 Wellbeing is something that is an essential part of us as individuals, but somehow seems to be the first thing that is forgotten during our day to day lives. 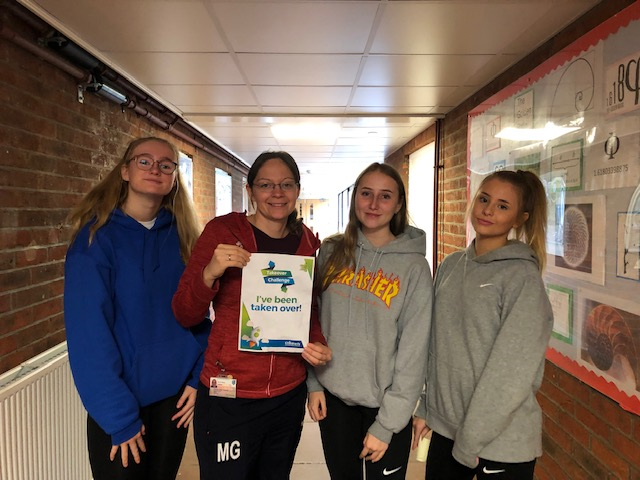 As a school we are working hard to promote postive wellbeing for our students and have recently launched the 'Wellbeing toolkit' a booklet for every student in the school with helpful guidance on how our students can work on developing more positive wellbeing for themselves and where they can get extra advice and support. For a generation where social media can have an impact on self-esteem and day to day mental health this toolkit is a resource aimed at supporting our teenagers through the complexities of adolescents and enabling them to have the tools to take positive control of their wellbeing. 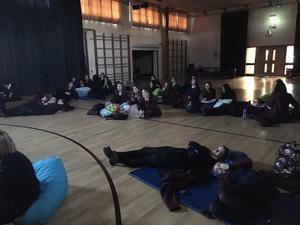 On the 28th of February a group of year 10 and 11 students accompanied by Dr.Khan, Mr Cross and Miss. 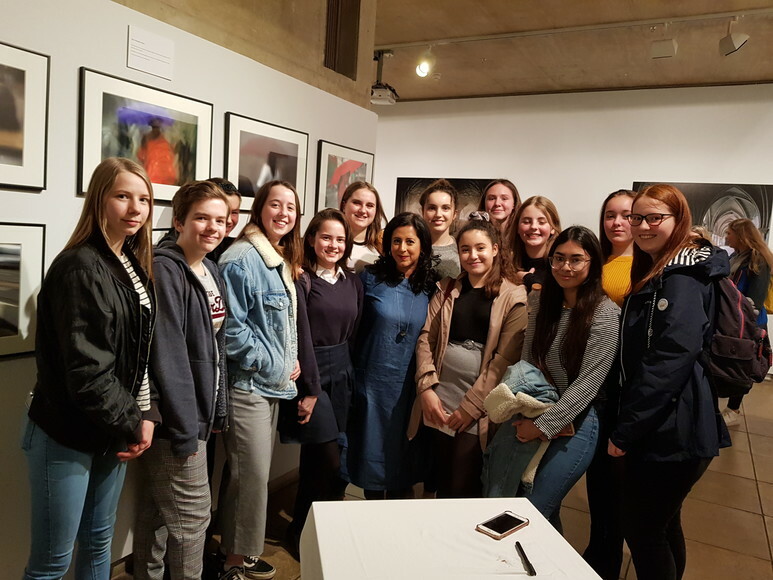 Nichols went to The Northwall Arts Center in Oxford to witness a talk by Anita Anand a famed radio and television journalist about Sophia Duleep Singh, an Indian “Princess, suffragette and revolutionary” to quote Anita’s book. In the short period of an hour Anita told us about the events that made Sophia who she was and how those events caused her to fight for the suffering of females as well as Indian independence. Anita’s words told a story of anguish, confidence, anger and bravery. Although these events took place between 1898 and 1948 the context and history behind it all remain relevant to events that continue to unfold before us today. Most of us were pleasantly surprised by just how topical and interesting Sophia’s struggle really was, coupled with Anita’s intimate and passionate knowledge of Sophia’s story we thoroughly enjoyed what she had to say. After this we retired to the gallery where we got to formally meet Anita, ask questions, get our books signed and thank her for the wonderful experience. On behalf of those who went I can confidently say that overall the experience was very enjoyable and filled us all with a sense of empowerment and pride in being women knowing that those who fought before us are a part of the reason why we stand where we do today. Furthermore I would like to thank Mr. Cross, Miss. Nicoles and Dr.Khan for taking the time out of their evenings to take us to the event as well as a massive thanks to Anita who made the evening most enjoyable. Looking back on the last two terms it seems fitting that the final blog relates to our theme for Term 2 of Self Belief. 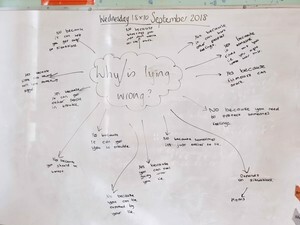 I think back to many conversations I have had with many girls where they have come to me worried about a test, managing their work load, balancing changing friendships and those conversations at the very start of September where many were worried about the step up from Year 9 into Year 10. 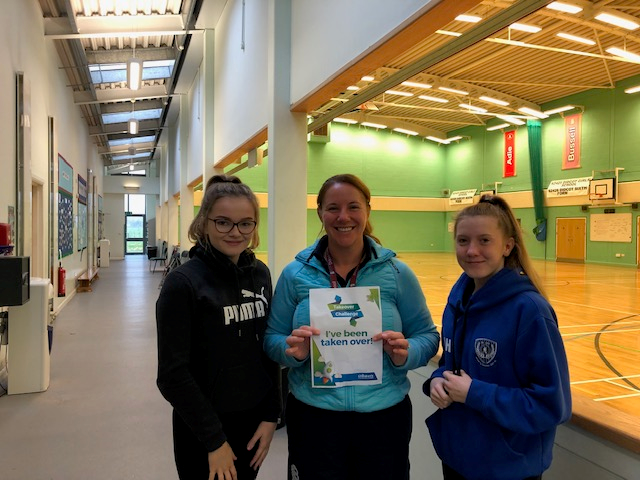 I have been incredibly proud to work with the girls over the last 15 weeks and to see the Self Belief and Self awareness grow amongst the year group. I'd like to end 2018 sharing the thoughts on Self Belief from Mr Byrne and the girls in 10CXB. So from me it is a very Merry Christmas and a thought to the goal setting for 2019 as I share below the main feature from 10CXB. The thought for this term has been self-belief. Each week, pupils across all year groups have heard personal accounts from different teachers and house captains reflecting on times in their lives when they have had to demonstrate this virtue. 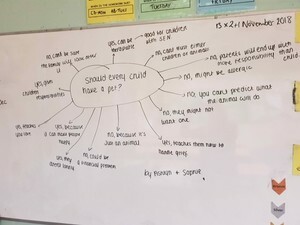 Now at the end of a very busy term, with several mock exams having been completed and a deserved Christmas break just around the corner, I asked my tutees to reflect on a time when they have recently demonstrated self-belief. The responses that I received from 10CXB included examples from sports fixtures, recent revision strategies, travel and plans for the future. I’m pleased and grateful to the girls for being willing and proactive in sharing these brief but personal snapshots into their daily school lives. I’m proud that they approach each school day with a great amount of self-belief and resilience. Just as importantly, they demonstrate these qualities alongside humility and self-reflection as they enter an exciting time in their school careers. My moment of self-belief was when everyone put me down for being a foreign person trying to gain more knowledge of Italian culture. I believed that I could learn a new language in Italy and join in the new culture. I’ve shown self-belief when my squad went to national finals and I was against a tough player. I demonstrated a lot of self-belief when I worked to improve my English skills. I have self-belief in myself that I will achieve my dreams to be a singer as I give a lot of effort to singing and dancing. I believe that I will be accepted to a company that I really want to be in. I believe that I will be accepted to a company that I really want to be in. I believe that I will have a successful career and not regret anything that I’ve done as a singer. I believe that I can do this. I showed self-belief when I started DGS. I’ve fit in and I have been working hard. I’ve had self-belief with knowing what I want to be in the future. I’m now considering a career as an air-hostess or being a rep. I showed self-belief when I helped lead the house opening ceremony. I have shown self-belief when I was able to compete nationally and then had to do another five hours of training after and I completed everything. I believe I should have had more self-belief when I did my most recent Maths test. I thought I had failed. However, I didn’t so I needed to have better self-belief. I have shown self-belief when I was put into the final in eighth place. Knowing I could swim quicker, I had to believe in myself that I could. I have shown self-belief when I didn’t think I could run most of the cross country course, but I believed that I could and I did. I showed self-belief in Graphics when I struggled with my project. I was motivated to carry on. A time when I showed self-belief was when I decided to take someone’s place in a race because they didn’t want to do it. When I am tired and do not want to get up in the morning, but I had self-belief that I needed to get up and go to school. I’ve shown self-belief when I was making revision cards for my Maths mocks. I have had self-belief when revising for all my subjects. I showed self-belief in Maths when I was struggling with Quadratics. I showed self-belief when I was doing my Physics test and found a question hard. I answered anyway, knowing it was better than writing nothing. I recently showed self-belief when I wanted to get a good mark on a test and I did. In Maths I struggled with turning fractions to decimals to percentages. With help from a friend I was able to eventually do it. It became easier once I knew percent meant 100. Later another friend was asking me how to do it and I was able to help and explain it so she got it too. Fingers crossed for our Under 16's Football team! 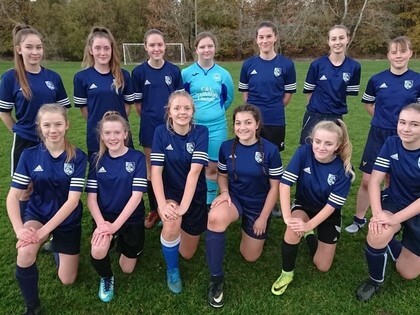 This week will see our under 16's team face two matches the first Wednesday 12th December will see the girls playing Langtree in the semi-final of the County Cup on Wednesday 12th December. Followed by an away match at Bournemouth on Friday 14th December. A strong team with 11 girls from year 10, we are all wishing the girls the best of luck and I look forward to hearing how both matches go - stay tuned for updates! 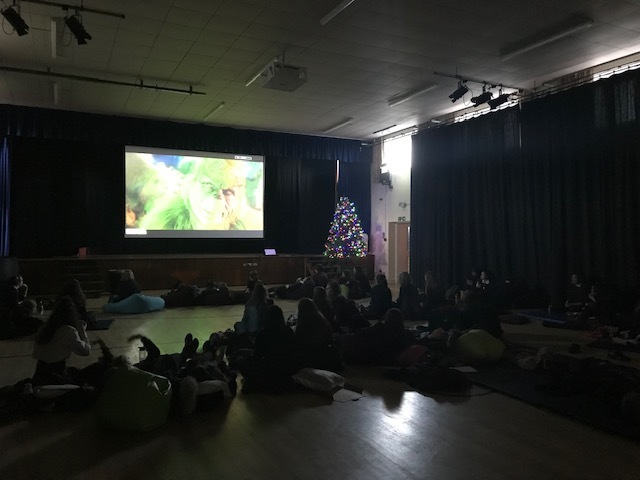 It was so lovely on Friday evening to spend the afternoon watching the Grinch and eating pizza and sweets with 40 girls from the year group. Easing into the festive spirit with the Grinch after a long term getting the chance to unwind was definitely needed! As the photos below show the girls that came along certainly enjoyed the afternoon. 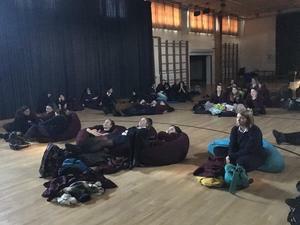 Keep your eyes peeled for more Pizza and Movies nights in the coming terms! This year in Student Guidance Time we have been doing face to face discussions. 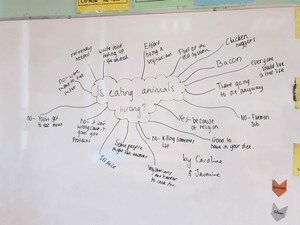 This involves students leading on class discussions on a range of controversial and current topics such as: Gun crime, Uniform and is eating animals is wrong? We have enjoyed hearing other people’s opinions and getting the chance to debate how these topics can impact and influence us. 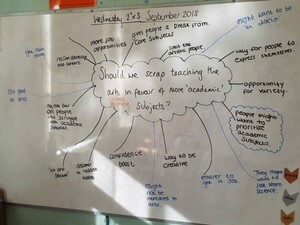 The sessions are led by students who take notes creating a diagram of the ideas from the class. It has really allowed us to develop our confidence in having a voice and getting the chance to discuss with others without feeling there is a judgement. 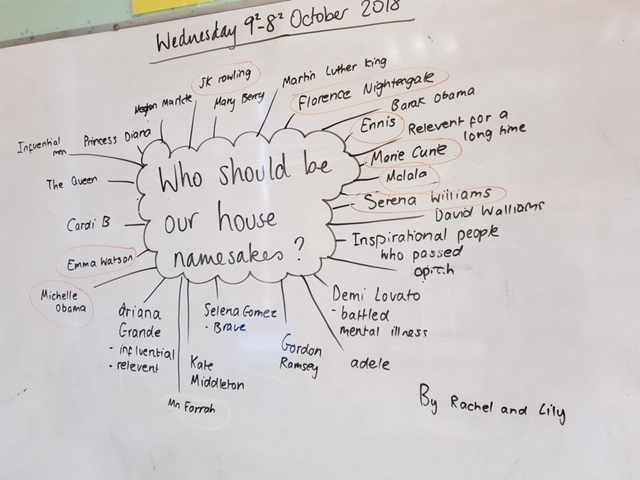 The tutor group’s favourite discussions were about prohibiting guns and who our house name sakes should be. 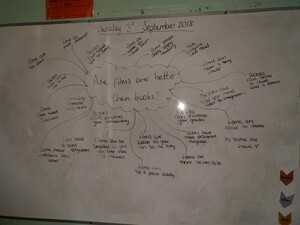 Below are a range of topics and the ideas shared by the class. We are pleased to be able to share with you the Year 10 Vocabulary Booklet. This booklet has been put together with great care by your teachers, to equip Year 10 students with some of the key vocabulary you will need to be successful in your study of these subjects this year. The booklet can be viewed here, which includes information about how best to use it to support your studies. 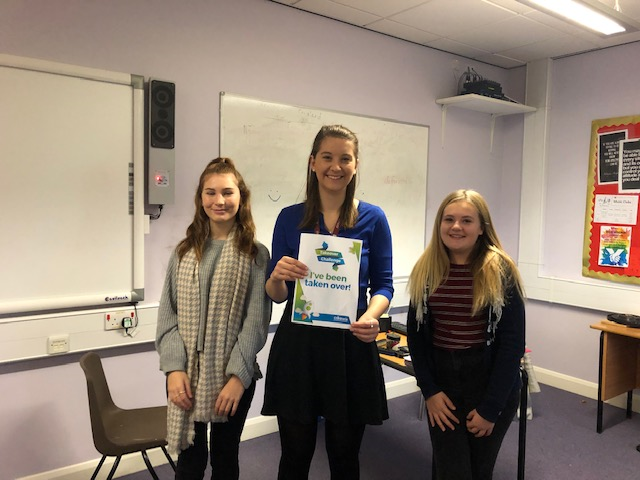 Friday the 23rd of November was takeover day for year 10. 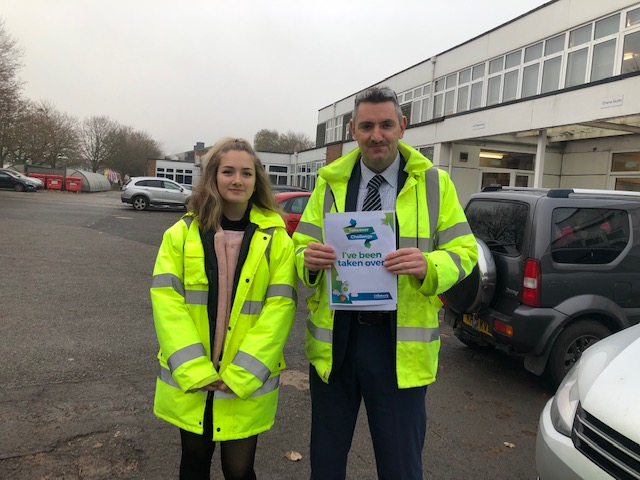 Takeover day is a fun opportunity for students to take on the role of staff in school. 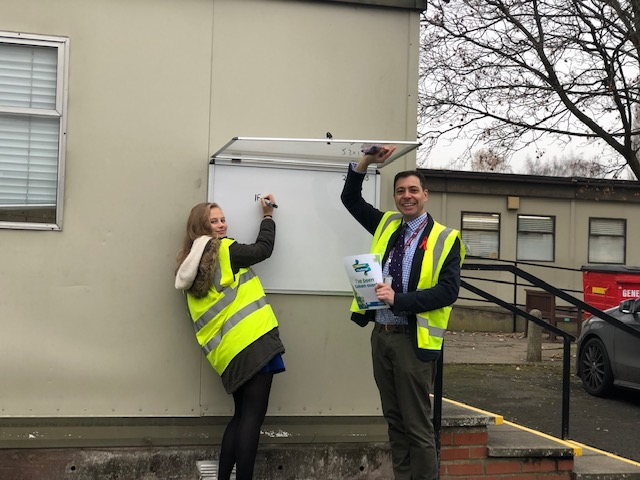 It allows the students to find out what staff do during a school day and be responsible for their roles, whether it’s the site team, canteen staff, teaching a lesson or even Mr Goodenough! The day saw 102 students take on the roles of staff within school starting with students leading the staff briefing in Cockcroft Hall for all staff at 8.30 in the morning. Students got the chance of break in the staff room where the queues for hot chocolate and cups of tea were a sight to behold! 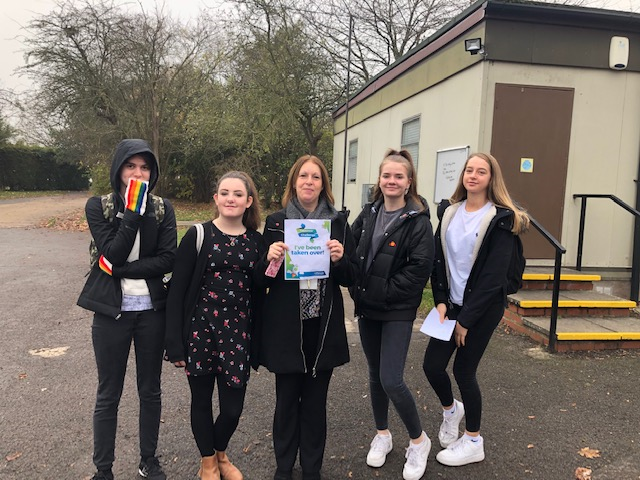 The students taking over the canteen staff helped to provide break and lunch for the whole school, whilst the girls working with the site team enjoyed wearing their Hi Vis and getting stuck into keeping the site running. Many girls were responsible for leading lessons and taking on the tasks of teaching younger students in Drama and PE. Feedback from some of the students show how much the opportunities were enjoyed and valued in building the confidence. It was a fun experience to find out what Head of Years get up to in a normal school day, completing learning walks, writing postcards, understanding all of the behind the scenes jobs that go into looking after a year group. It has helped with our confidence and oracy skills. After such a successful day bring on work experience at the end of year 10! Miss White and Miss Walker (10GAW) taking on the Head of Year 10. Week 3 of term 2 and we are definitely moving towards winter with shorter days and colder weather! This week to beat away the dark nights I had the chance to attend the Dance Fusion showcase at Cornerstone. For the first time DGS joined with SBS to showcase performances from students from both schools. After hearing the reviews from other staff who had watched the first two nights I was brimming with excitement. The entire show was breath-taking, every dance was performed to an excellent standard and the professionalism, focus and enjoyment shown by all students was incredible. I was blown away and filled with pride to see that Year 10 performed 17 dances throughout the evening. With 34 girls from the year group taking part in multiple dances. From individual solos from Libby Field and Neve Lofthouse, to a beautifully moving partner piece performed by Chloe Moss and Adam Dearman as well as a number of group pieces, where I am not ashamed to admit the performance of Black Roses made me reach for the tissues. A truly magnificent night, showcasing the talents of all the students from both schools, a huge thank you to all the girls from year 10 who took part and an enormous thank you to Mrs Hook and Miss Druce for working with all the students. I always love dropping into the studio to see the dance lessons and open mornings when I can but this evening was a whole new level. Thank you to all those who were able to attend our first ‘Untangled evening’ on Thursday 9th November. Looking through the feedback I’m so pleased you found it useful and were able to take something from the session. The feedback has also been valuable in how to improve future sessions which will include more of the discussion element and advice of how to support you with tricky situations. 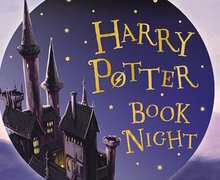 For those unable to attend or unsure of what the evening was about I have attached the PowerPoint at the bottom of the page and really encourage you to access the web page for Dr Lisa Damour the author. Untangled: Guiding teenage daughters through the seven transitions into adulthood. Lisa Damour draws on decades of experience and the latest research to reveal the seven distinct—and absolutely normal—developmental transitions that help support your teenage daughter into adulthood and becoming a young woman. Throughout the book there are realistic scenarios and welcome advice on how to engage daughters in smart, constructive ways and most importantly, Untangled helps mothers and fathers understand, connect, and grow with their daughters. If you are interested in knowing more about the session please do contact me on rstill@didcotgirls.oxon.sch.uk and keep an eye out for the next ‘Untangled’ evening in the Spring which will focus more on giving you the chance to meet and discuss with other parents of teenage girls, some of the scenarios or experiences you’ve had in raising your daughter. Where with biscuits and tea you will feel safe and secure knowing that actually it’s not just you who gets the eye roll, the claim that you are so embarrassing or the look of absolute disgust shot your way if you enquire as to how school went that day! Term 1 of Year 10 and what a fantastic start! It is hard to believe that we are almost at the end of term 1, but the leaves are changing colour and Autumn is definitely here. It has been an absolute joy to work with such a charismatic, caring and focused year group. I really do feel lucky to have guardianship of Year 10 in my Acting Head of Year role. I’ve had the chance to head into a range of lessons and student guidance time sessions over the last few weeks. It has been amazing to see the hard work in lessons shown in some of the photo’s below. 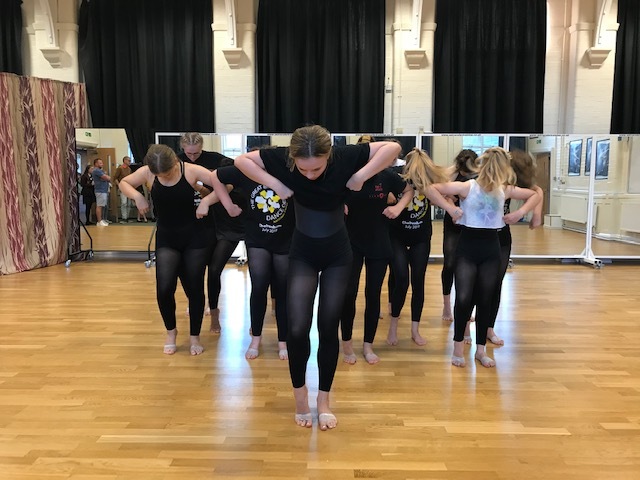 Science with experiments, Maths with algebra and fractions and also getting a sneak peek of the year 10 dancers preparing for November and the annual Cornerstone Dance show. One of the new initiatives in the school has been our Thursday Face to Face discussions. It has been amazing and a privilege to get to drop into the different tutor groups and see how the girls have engaged. From 10PJC discussing whether we should only have white women namesakes to 10EBT discussing Is it wrong to eat animals? 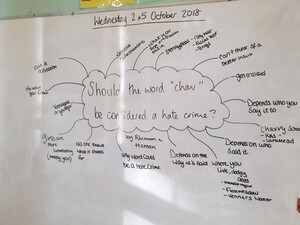 And should the use of the word ‘chav’ be classified as a hate crime? Not only do I get to see great things by dropping into lessons, but my email is full of comments for the celebration assembly at the end of this term. These emails highlight the focus, engagement, hard work and resilience of Year 10 and how they have started this year. 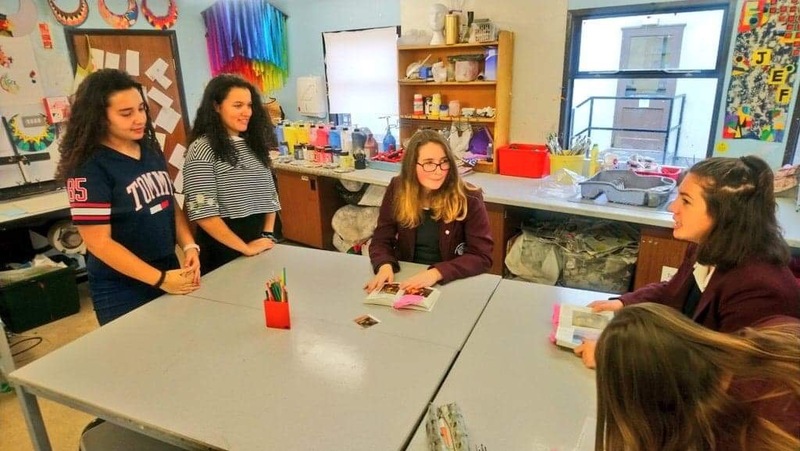 “Everybody in the year group has started the GCSE course with maturity, motivation and a real sense of responsibility for their own learning. 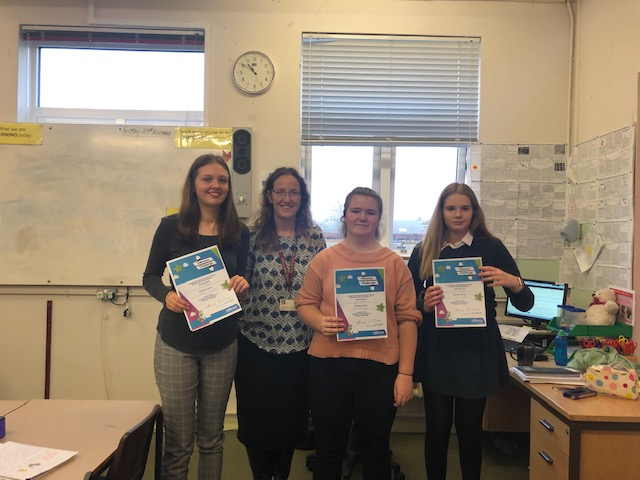 The atmosphere in Austen during the recent test essay was electric: every group was determined and focused, and have done really well as a result.” Mr Cross (English). 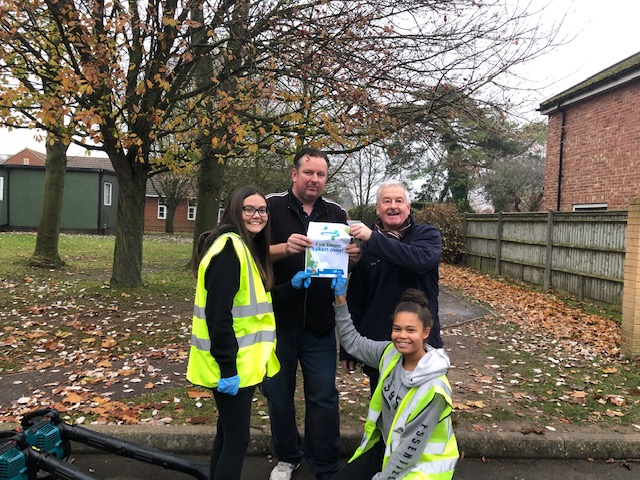 The dedictation and hardwork also happens outside of the classroom with two of our Year 10's Emily Smith and Saffron Simpson being nominated for the Young Volunteer and Charity Fundraiser award from Didcot Town Council on Friday 18th November. As well as two of our Year 10 dancers, Neve Lofthouse who is competing at the Great British Irish dance championships and Ellie May who has been selected for team GB and will be going to Germany to compete in The World Tap Dancing Championships. 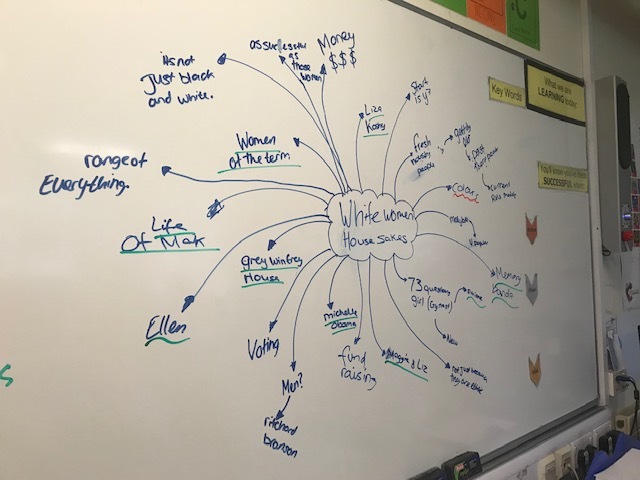 I look forward to hearing more feedback about what the girls are doing in lessons, outside of school and getting the chance to head into lessons to see more of what year 10 are doing in the coming terms. For now I am ending Term 1 full of pride and excited for what is to come. 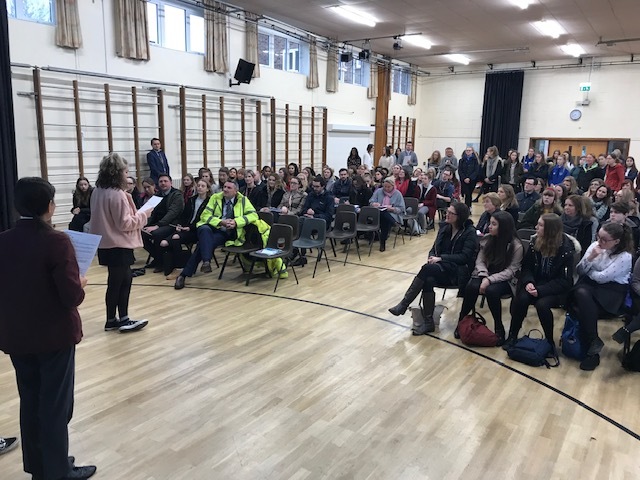 Thank you to everyone who attended the Parent Information Evening last Wednesday it was fantastic to see such a packed hall of both students and parents/guardians. Year 10 is a really exciting time in your Daughters time at DGS and I look forward to working with you to support your daughter during this. November 8th I will be running an evening looking at Untangled: Guiding Teenage Girls Through the Seven Transitions Into Adulthood by Lisa Damour. Please go through Mr George's slides looking at the key dates for work experience and how to support finding these placements.